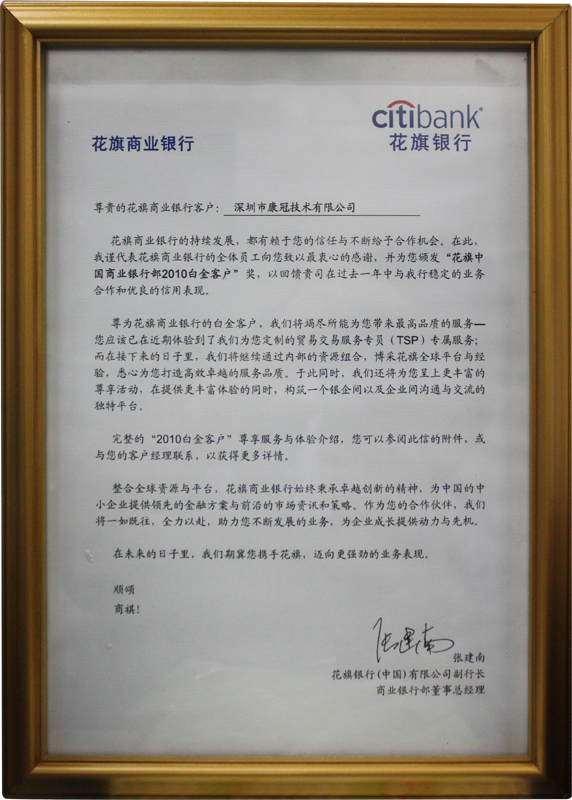 Recently, KTC was awarded “Platinum Customer of China Commercial Banking Department of Citibank 2010” by Citibank (China) Co., Ltd, indicating KTC is always in good standing. As the “Platinum Customer” of Citibank, we can enjoy the exclusive services provided by the Senior Customer Manager and senior experts. For example, Citibank will send its senior experts to review our business regularly and meanwhile provide the customer-made solutions and suggestions according to the latest development of the company. Therefore, we can continuously get constructive ideas and important information for operation of the company.